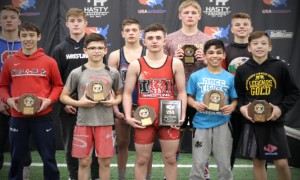 Four more age-group Greco-Roman medals are being added to the pile for the US in 2019. 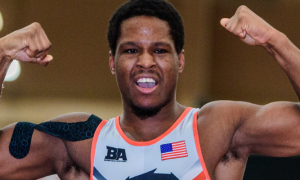 Hassan Khan (71 kg, CA), Tim Eubanks (87 kg, WBU), and Aaron O’Connor (130 kg, NV) all earned silver medals at the Torneo Internacional Jovenes Promesas event (“Promising Young International Tournament” in English) in Los Alcazaras, Spain. 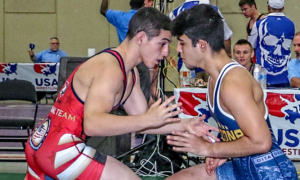 Khan, brother of former NMU rep Shehiryar, is an up-and-coming multi-style athlete who doubled up — he took second in both Cadet Greco and freestyle, his first international medals of any sort. 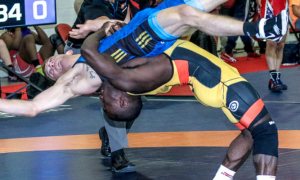 Eubanks, who only competes in Greco and has steadily demonstrated signs of improvement on the domestic circuit over the past year, gives Williams Baptist its second and third-ever overseas medals following Sean Sesnan‘s (55 kg) silver in Sweden last October. Heavyweight O’Connor is another prospect with all-style skills, and just like Khan and Eubanks, picked up his first foreign piece of hardware. Alas, matches are not the entire point of these trips. 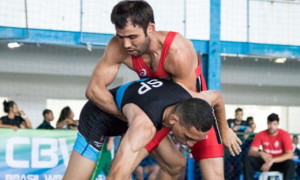 The trio of wrestlers participated in a full international training camp leading up to the tournament, which is the “prescription” that the US program strongly encourages when it comes to development. 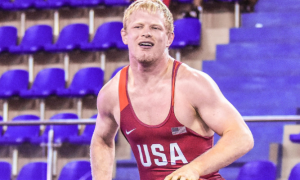 Multi-time age-group World Team coach Nate Engel joined the American delegation in Spain this past week and came away extremely pleased with how well the wrestlers adjusted. “I think our guys had a great experience here,” Engel said on Sunday after the event wrapped. 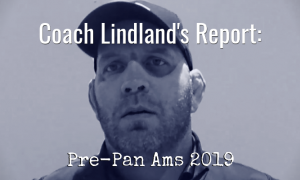 “They got to train with Portugal, Spain, and a very tough Swedish team coached by Kim Holk, who is a former star from Sweden. For two of the three guys it was their first time competing and training overseas. I think they learned a lot and will grow from this experience. It’s so important to get overseas to train and wrestle Greco to get that feel, to understand the difference between what you see at Fargo and on the world stage. 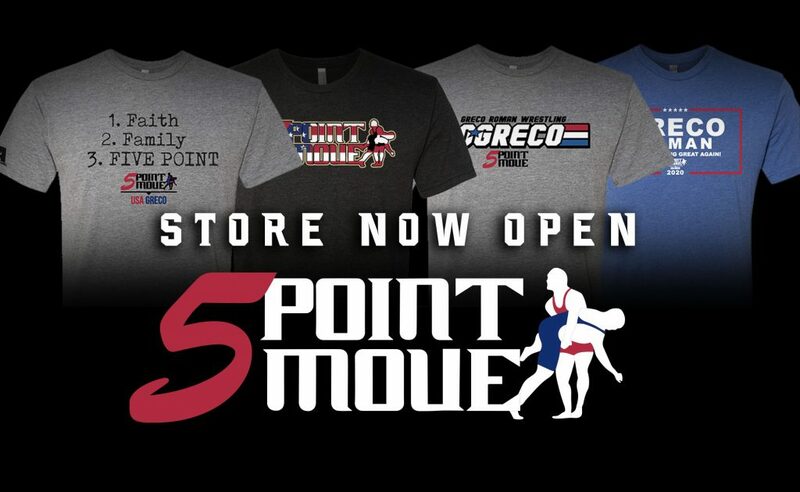 They learned valuable lessons to move forward and I think it has lit a fire to keep growing in Greco. *First names were unavailable for two of Khan’s opponents at press time.